• Mill Liner Handling Machines have been developed for the placement and removal of the liners inside grinding mills. • Mill Liner Handlers are typically positioned nearby to the ball, SAG or AG mill(s) they service. • Mill Liner Handling Systems play a critical role in scheduled maintenance of the grinding mills. Liner Handlers are essential machinery for effective liner change out. • The major benefits of investing in Mill Relining Machinery are that operating and maintenance costs are significantly reduced. • Mill Liner Handling Machines can be provided as 3, 7, or 8 axis. • Additional options include liner clamp for a quick changeout. 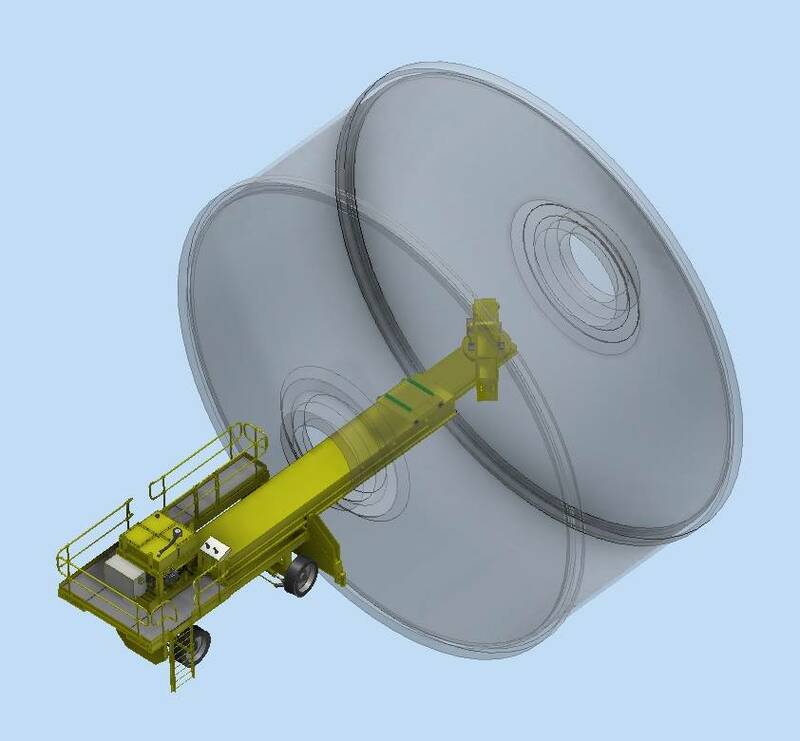 • Suitable for liner handling of rubber and steel liners up to 6t unit mass. 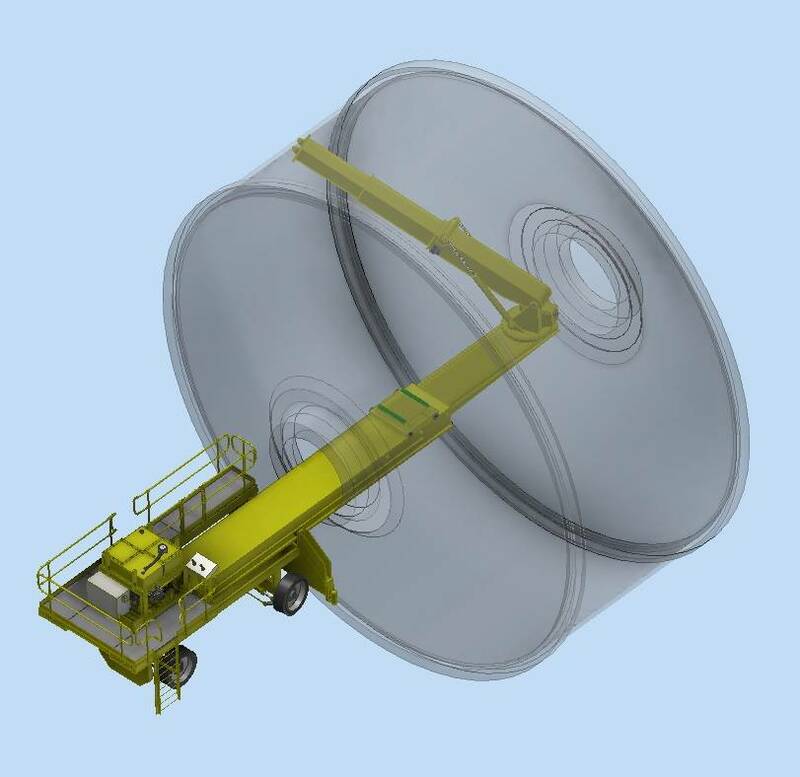 • Mill Liner Handling Machines can be provided with an optional Radio Control Unit. 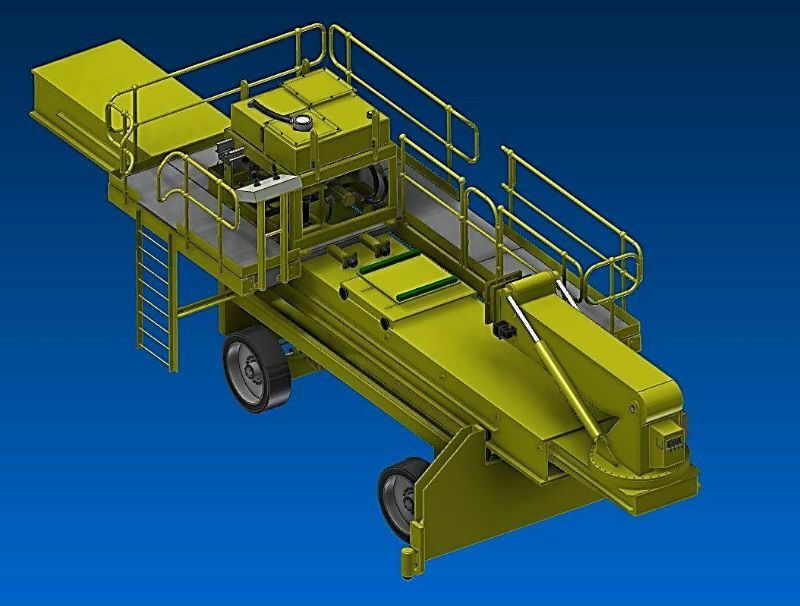 • Mill Liner Handler Machines can be supplied with an optional powered trolley for liner retrieval/removal. 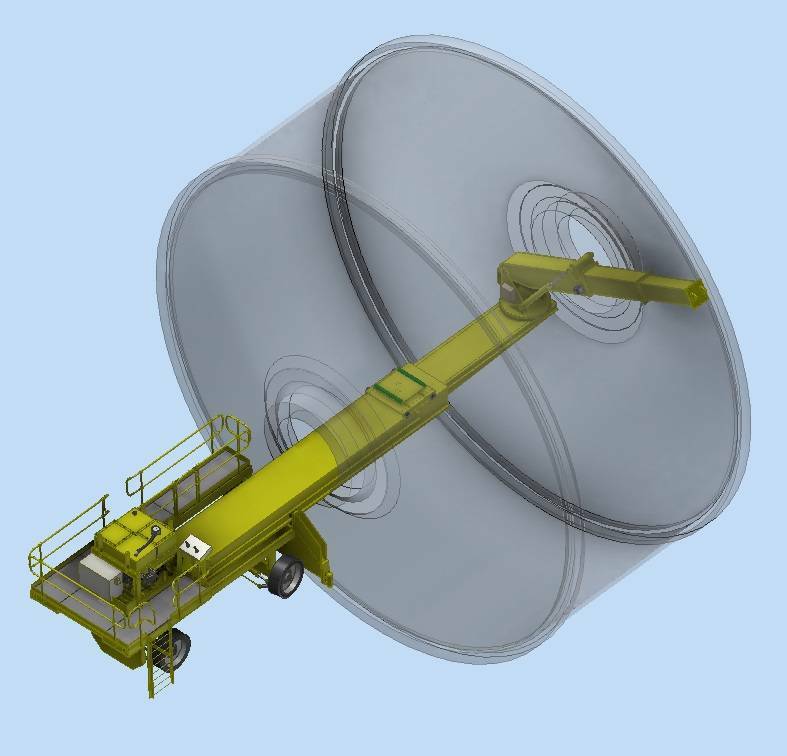 • All designs of Mill Liner Handling Machines includes Finite Element Analysis to ensure machine strength and long life. • All Mill Liner Handler Machines are fully supported by our service team on hand 24/7.